In 1993 a Ministerial Decree designated much of the iconic Jura mountains as a National Natural Reserve of the High Jura (Réserve naturelle nationale de la Haute Chaîne du Jura – RNNHCJ) of nearly 11,000 hectares, thus creating one of the most extensive Natural Reserves in mainland France. It encompasses the easternmost range and both the narrowest and the highest point of the entire mountain chain. 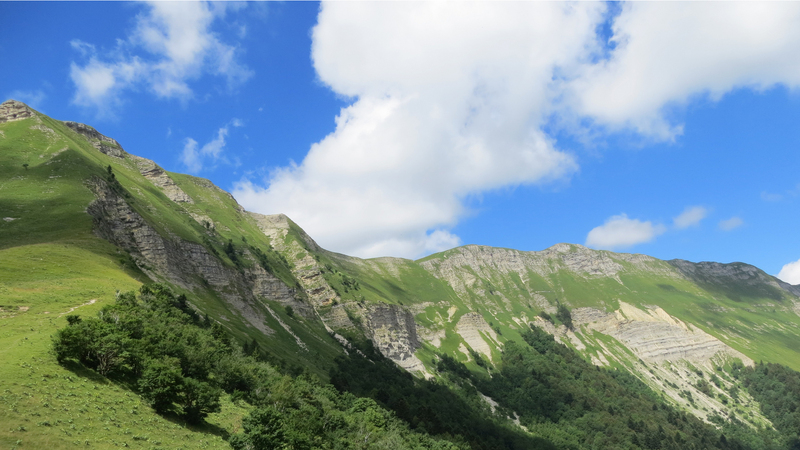 Rising in elevation from 580 to 1,720 metres, the Jura Natural Reserve offers a stunning diversity of plants and animals. The varied and rich terrain harbours species which are both remarkably beautiful yet fragile. Throughout the seasons, the Reserve welcomes naturalists and outdoor enthusiasts of all sorts, while still accommodating the traditional occupations of high pasture farming, forestry and hunting. To ensure the future of this ecologically sensitive area and its time-honoured way of life, visitors are asked to comply with the regulations in force. We all bear responsibility for preserving this unique landscape, so we ask you to please remain on the marked paths, leave dogs at home and park cars in designated areas. Following these simple steps will enable us all to safely enjoy the Jura’s myriad natural attractions and wonders.